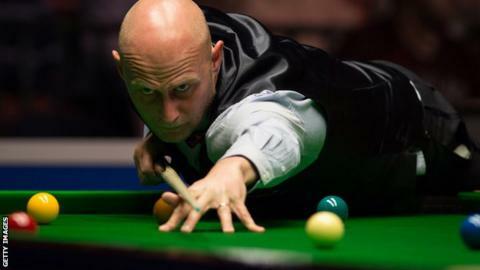 Defending champion Mark Selby lost to world number 92 Craig Steadman in the China Open qualifying round. Selby, usurped at the top of the rankings by Ronnie O'Sullivan last month, was seeking a third successive title and moved 3-2 ahead in Beijing. But Steadman, 36, made breaks of 77, 108 and 86 to lead 5-3, then sealed a 53-minute ninth frame for a 6-3 win and a first round tie with Dominic Dale. Anthony McGill beat Nigel Bond despite arriving late having overslept. Former world champion Stuart Bingham beat Elliot Slessor 6-0 with breaks of 92, 140, 101 and 104. Another ex-world champion, Neil Robertson, had runs of 119 and 138 in a 6-2 win over Kishan Hirani.